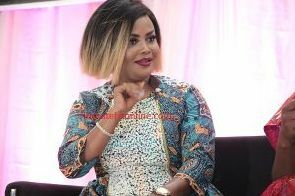 Many fans of celebrated Ghanaian actress, Nana Ama McBrown believe that is her original name but she has disclosed that the name was adopted somewhere along the line in pursuit of her acting career. “When I was in school, my name was not Nana Ama McBrown. I was born Felicity Ama Agyemang but an uncle of mine based in the USA who felt the name was not good enough to brand me properly chose McBrown for me. There were times they will be mentioning Nana Ama McBrown and I will not respond because that was not my name and it was not in tune with what I had grown to be identified as.Branding is very important in one’s career”, she revealed during a presentation in this year’s ‘Tek Talk’ at the Kwame Nkrumah University of Science and Technology (KNUST). According to her, Felicity Ama Agyemang was a very common name and difficult to brand and therefore bought into the idea for a change in name indicating that she has no regrets for how far it has brought her.